But there was another online petition regarding the US presidential candidate going as well that you might not have heard about... That one was asking Robert Gordon University (Aberdeen) to "strip Donald Trump of the honorary degree it bestowed on him with immediate effect." 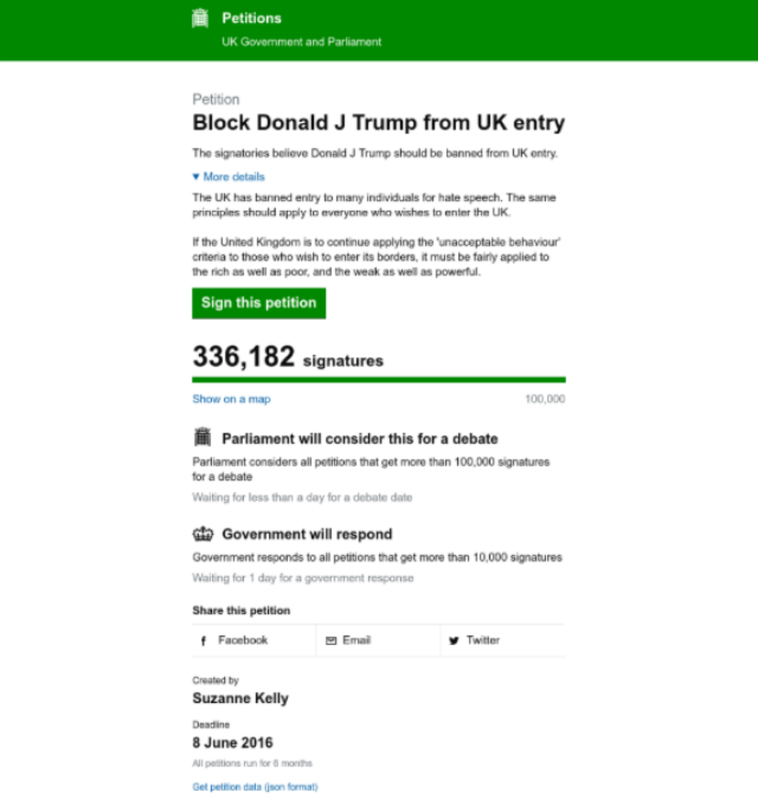 “We feel that Donald Trump's unrepentant, persistent verbal attacks on various groups of people based on nationality, religion, race and physical abilities are a huge detriment to the university. 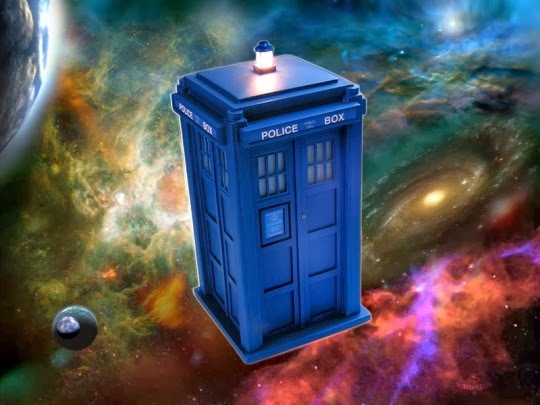 Hate speech must not have a place in academia, in politics or on the world stage. 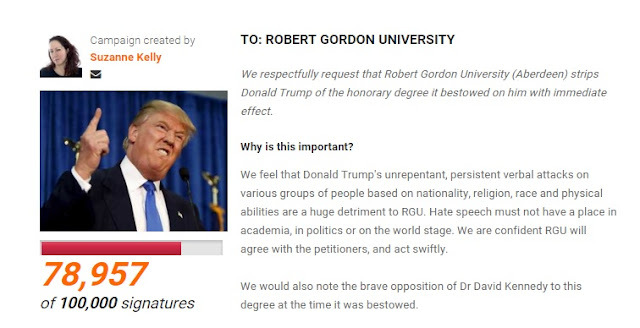 We are confident Robert Gordon University will agree with the petitioners, and act swiftly. Well, they did act swiftly, indeed... David Trump's honorary degree has now been revoked! 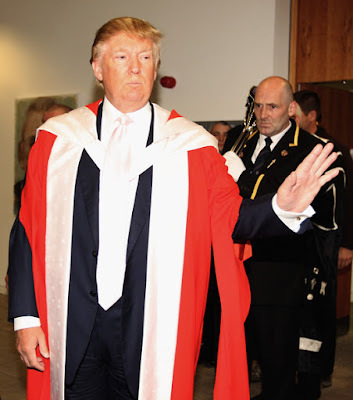 "In 2010 Robert Gordon University awarded an honorary DBA to Mr Donald Trump, in recognition of his achievements as an entrepreneur and businessman. 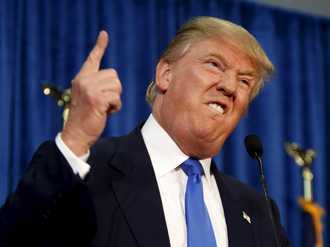 In the course of the current US election campaign, Mr Trump has made a number of statements that are wholly incompatible with the ethos and values of the university. 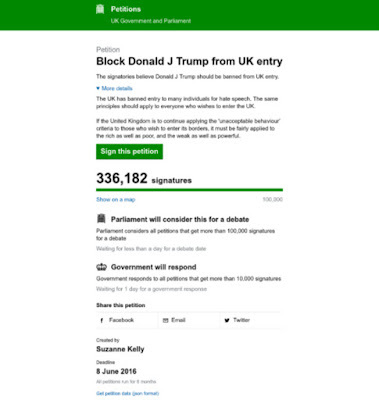 The University has therefore decided to revoke its award of the honorary degree"
Update Regarding The Petition To Ban Trump From Entering The UK!